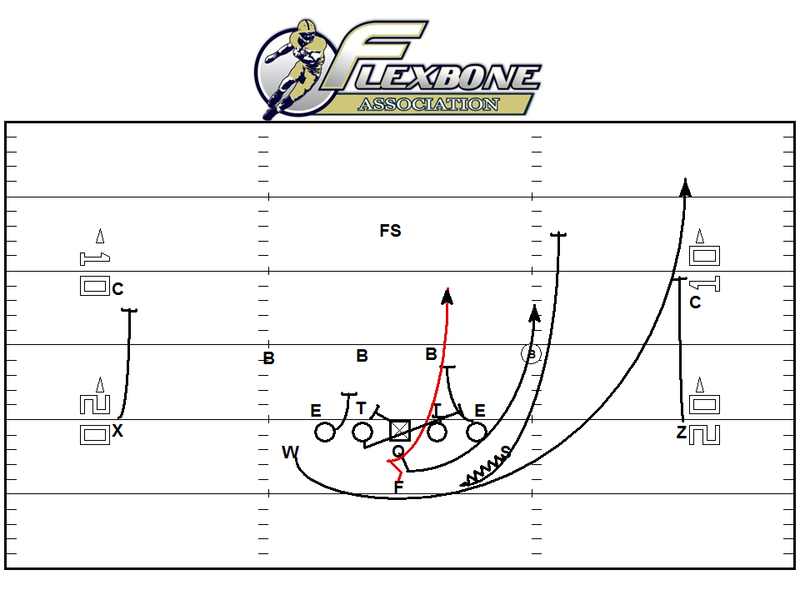 QB – Midline Steps (Midline Right=Trap Left; Midline Left=Trap Right) then carry out option fake. 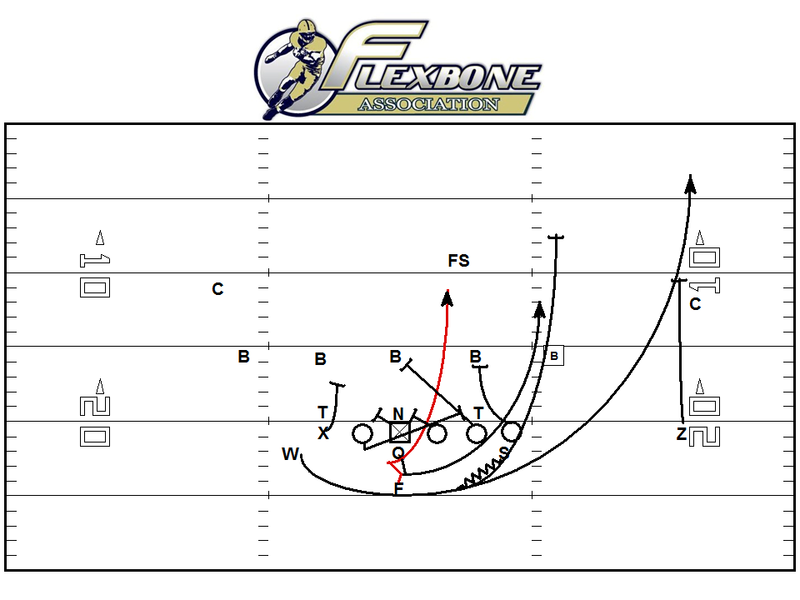 What is the “eagle adjustment” you refer to when talking about running the counter option? 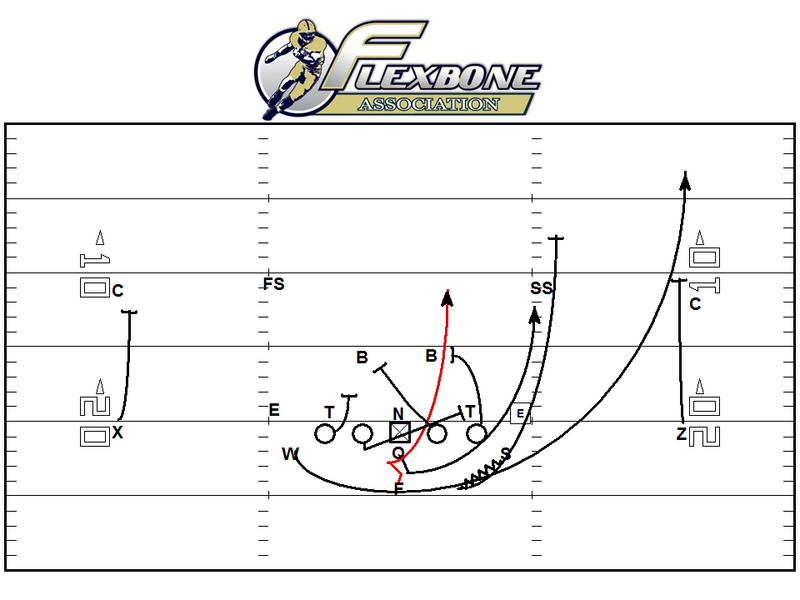 When you run CT Option to a 3-tech, the PST and PSG will combo the 3-tech, the backside guard will wrap the 3-tech for the LB and the QB will pitch off of #1.